Semi-annual gathering of the dZi Board of Directors and Advisory Board as well as staff from Ridgway and Nepal. Look for us in the red khatas! A table with dZi info and slideshow will be set up in town - precise location TBD. 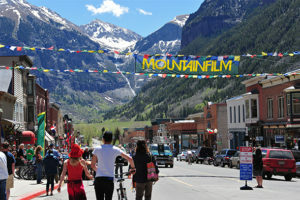 Telluride Mountainfilm events to follow.